Jemini Crafts: It's All Hot Air ! It's All Hot Air ! I hope you like my title today. It is so hard to come up with interesting, eye catching titles, but I thought this was rather fun for my February class name too. Below I share with you 2 of the 3 projects we will be making. 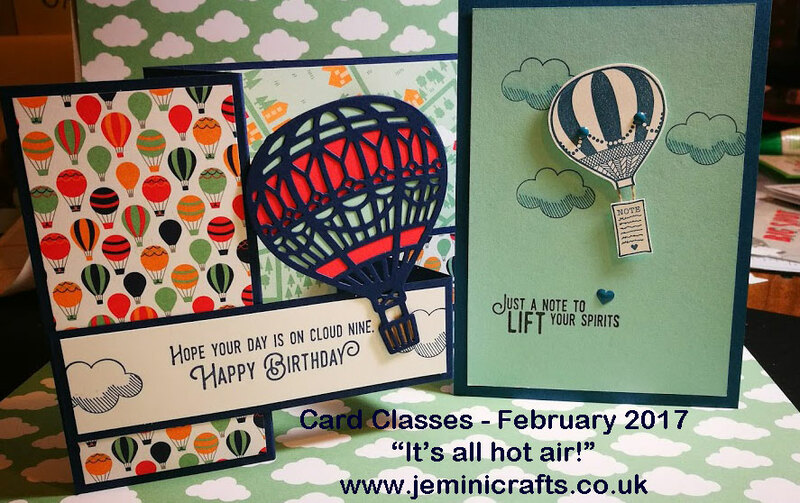 I had the first of my February classes last week, with a further 3 classes to follow, both in Brackley and in Milton Keynes. I have a few spaces left at each class at the moment - but don't delay in booking your space. You can EMAIL me now to book. I will have plenty of finished cards to share with you after the next class. 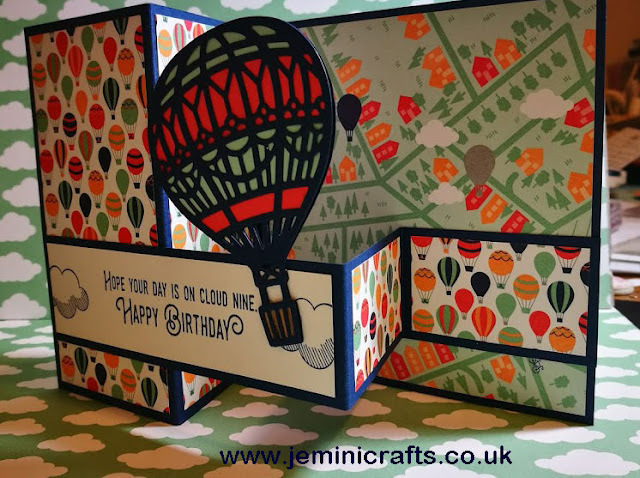 The framelit set was used is Up, Up and Away and the matching stamp set Lift Me Up! Both from the Spring/Summer catalogue. You can buy the bundle at a discount, and I have put a bundle together for all my class attendees, which you can order too. All for £45, postal option available. EMAIL me now to order yours.